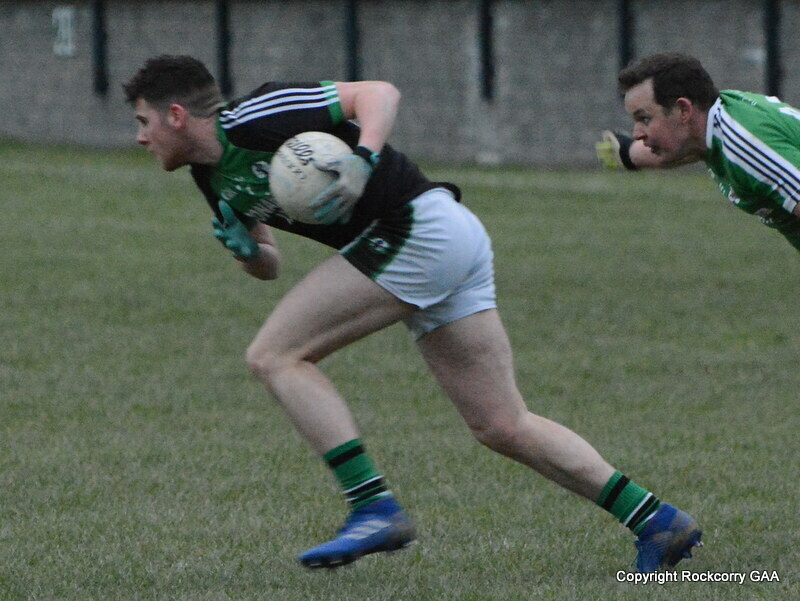 Our senior team played Donaghmoyne on Wednesday 21st May, in the Monaghan Electrical intermediate football league and while they were comprehensively beaten on the scoreboard the real winner and the biggest achievement was our ability to come together as a club so that we could field a team and fulfill the fixture. After the encounter against Corduff it looked highly unlikely that this game would proceed due to our chronic injury problems. However, when the club sent out an S.O.S message, it was very heartening to see players respond in a positive and upbeat manner and I would like to make a special mention to all the lads who donned the green & white jersey on the night. I have to applaud and give credit to the lads who refused to give up and while nothing seemed to go right for them they gave it a good go because all players displayed remarkable character, they fought hard and showed outstanding loyalty to the club and their fellow team mates, which to me is one of the most important character traits a person can own. 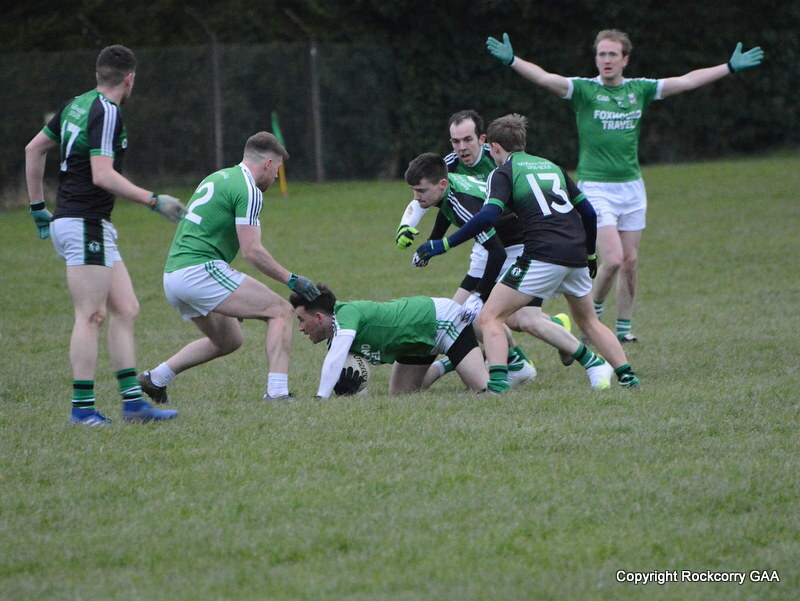 As Donaghmoyne remained in the ascendency they showed immense courage, great determination and continued to inspire each other and truth be told, that is the most significant and encouraging point to remember from the contest not the score-line which ended Rockcorry 1-3 Donaghmoyne 7-15. 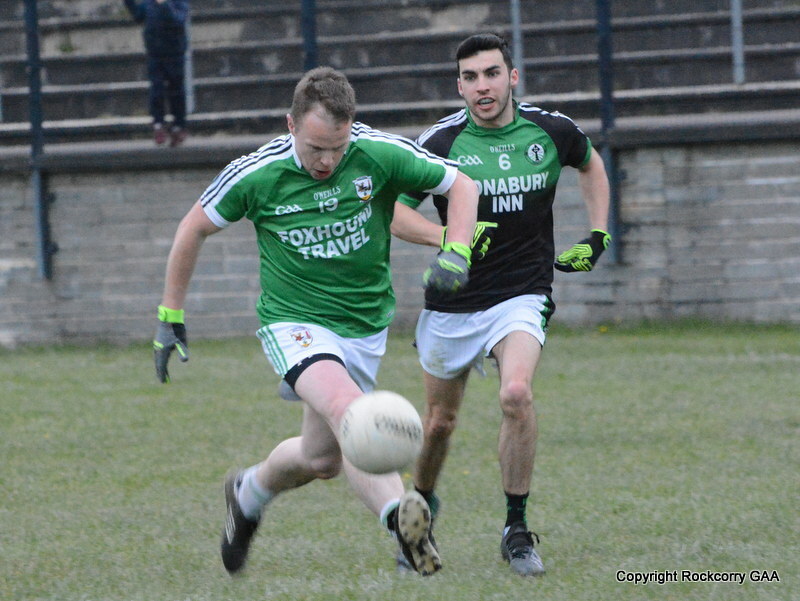 This Saturday, 31st May, the senior team is back in action when they entertain Cremartin at Pairc Naomh Mhuire and I would urge all our supporters to get behind the team to encourage and cheer on the lads during this difficult period. The game has a throw-in time of 7.00pm and I hope to see you there! After producing one of their best performances of the year our under 12 team were defeated by the narrowest of margins by Clontibret at the Spring League Finals Day held at Cloghan, Annyalla last Saturday 24th May. This was a highly entertaining encounter between two evenly matched sides as all players displayed great determination and at the break we enjoyed a slender advantage leading 0-7 to 0-6. When play resumed in the second half the excitement was unbelievable as play switched from end to end and going into the final minute of this thrilling & absorbing encounter the sides were level and with virtually the last kick of the game Clontibret fired over a point to seal a truly remarkable victory on a final score-line Rockcorry 0-13 Clontibret 0-14. 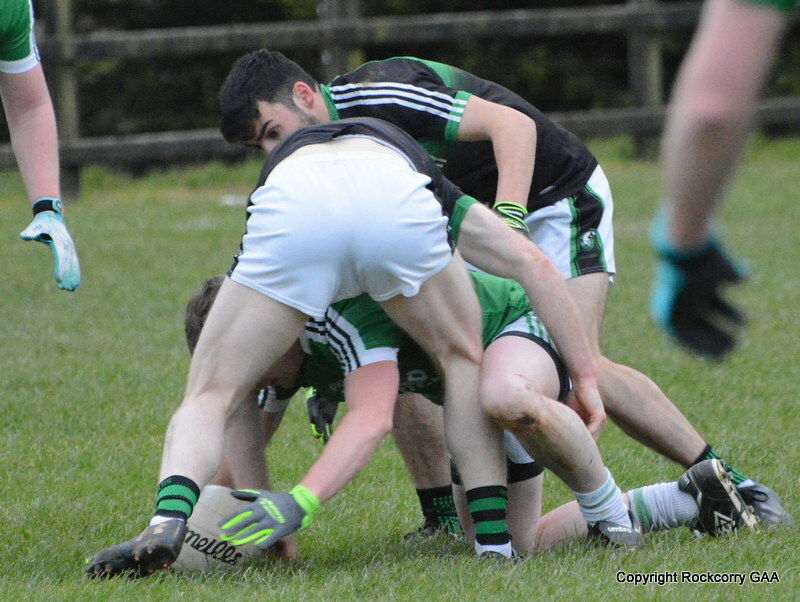 Please log onto www.rockcorrygaa.ie or visit our Facebook page to view a selection of action photographs. 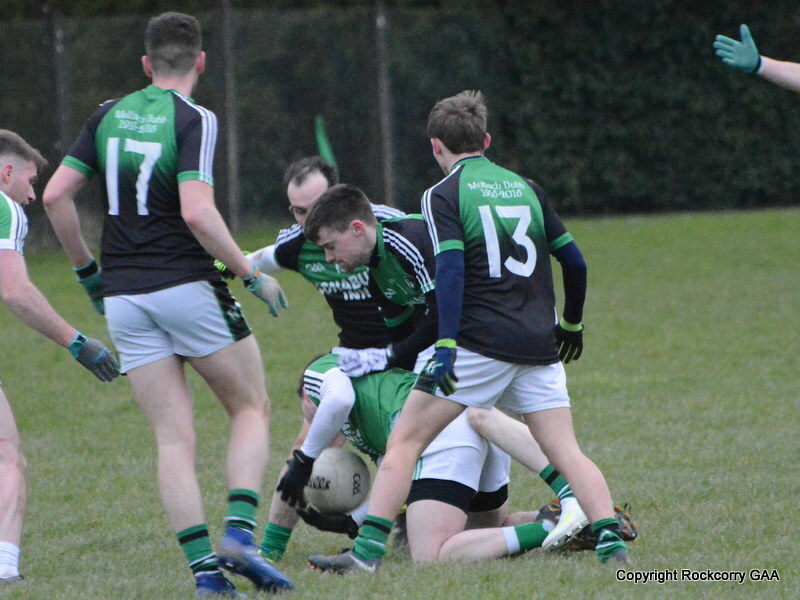 The next outing for the under 14 footballers is this Saturday 31st May when they travel to play St. Tiarnach Sarsfields and the game has a throw-in time of 12 noon. With examinations taking centre stage for the next couple of weeks the under 16 competition will now take a break to allow players concentrate and prepare for their exams. The next game is scheduled for Thursday 26th June when they travel to play Scotstown. The weekend of the under 10 blitz we were blessed with beautiful weather conditions with glorious sunshine and warm temperatures. However, when our under 8 footballers turned up for their Go Games Blitz last Saturday 24th May, which was held at Pairc Naomh Mhuire, the typical Irish summer returned because it was cold, there was heavy rain and it made conditions really misery for all teams. Having said all that, it certainly didn’t dampen the spirits, energy or enthusiasm of all the wee footballers who took part in a very exciting and entertaining blitz because all the kids acquitted themselves in some style and showed great improvement with their skill levels and that is what it’s all about. Competing clubs involved Clones, Drumhowan, Tyholland and our own wee-bunch of brave-hearts as they battled against each other and the elements. I would to extend a massive thank-you to everyone who turned up early to help line out the field and well done to all the parents for continuing to turnout in large numbers and encouraging the kids. Good luck to all players and members that are currently studying hard for exams at this time. I hope you get the questions you are hoping for and get the opportunities you deserve for all your hard work. The Parents Association of Scoil Mhuire are holding a FUN run / walk / jog (5K or 10K) on Friday 13th June starting at 7.30pm. Registration takes place at the school at 6.30pm and refreshments will be served after the event. This is a great opportunity to support the local school and it is open to everyone. You can choose to RUN or WALK the route which takes place in the picturesque setting of Dartrey Forest. The choice as they say, it is up to you. So dust off those runners and hopefully, we will see you ALL at the start line for what promises to be a great challenge. On behalf of everyone at the club I would like to extend our best wishes to Chrissie West who is currently in hospital at the moment. We wish her a speedy recovery back to full health and hopefully we will see her out and about doing all the things she likes as soon as possible. On behalf of the Rockcorry GAA club I would like to extend our deepest condolences to the family, relatives and friends of the late Owen Bannigan (Aughnamullen) who passed away recently. May he rest in peace. The numbers drawn on Monday 26th May were 1, 2, 5 and 27. There was no jackpot winner of €8,300.00. The following won €15 each :- Philip McCaul, Drumcall, Pat Clerkin, Rockcorry, Lisa & Sarah Sheridan, Rockcorry, Frank Dobbin, Rockcorry, Pat & Mary Brannigan, Rockcorry, Breda McCaul, Drumcall, Sheila Friary, Rockcorry, Stephen Greenan, Aghabog. Next week the jackpot will be €8,400.00 and the draw will take place in Aghabog GAA Centre. Thank you for supporting our Top 4 lotto draw.